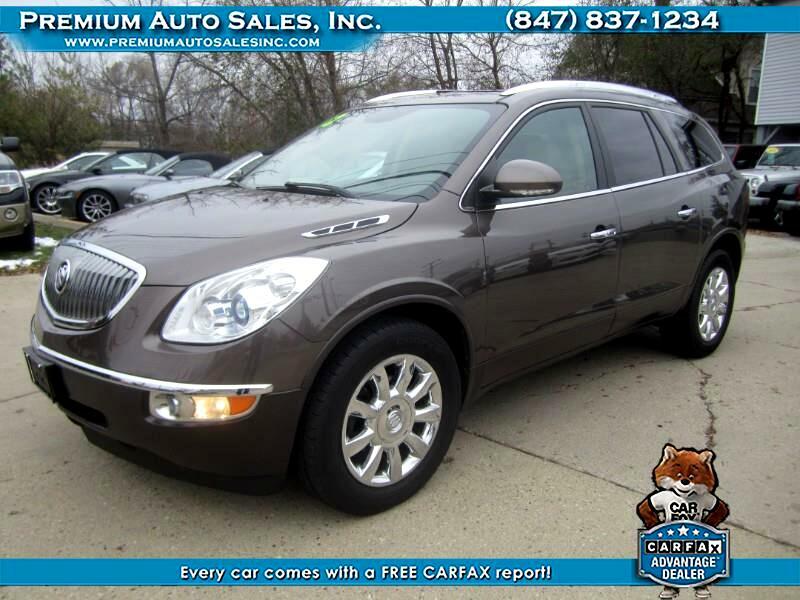 Used 2012 Buick Enclave Leather AWD for Sale in Mundelein IL 60060 Premium Auto Sales Inc. FULLY LOADED BUICK ENCLAVE ALL WHEEL DRIVE WITH LEATHER INTERIOR, HEATED FRONT SEATS, DUAL SUNROOFS, POWER DOOR LOCKS, POWER WINDOWS AND MIRRORS, BACK UP CAMERA, FACTORY GPS NAVIGATION, PARKING SENSORS, POWER TAILGATE AND MUCH MUCH MORE! CLEAN CARFAX CERTIFIED 1-OWNER HISTORY! CALL US WITH ANY QUESTIONS AND TO SCHEDULE YOUR TEST DRIVE!